The Bee was a Blast! And that’s a wrap! 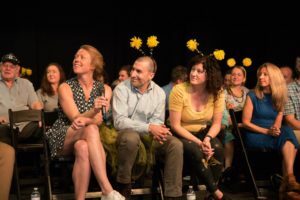 With sixteen teams, nine food sponsors, and 24 thousand dollars raised, we couldn’t have asked for a better turnout for this year’s Annual Awesome Adult Spelling Bee. 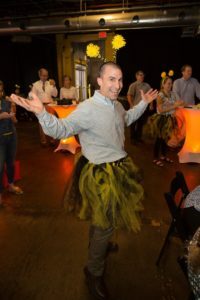 This year’s fundraiser floored us with the outstanding results, however, what thrilled us the most was the involvement of the Richmond community. The hardworking volunteers, teams, and restaurants have shown us how tightly knit our support system truly is and we couldn’t have done it without them! 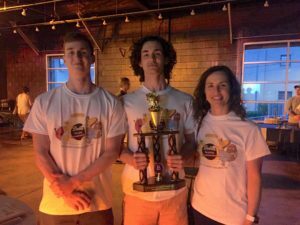 Congratulations to CF Sauers, for their stinging success as the 2018 winner, we can’t wait for the buzz of the bee next year! For a better look at the fun we had, please check out our Facebook photo album!